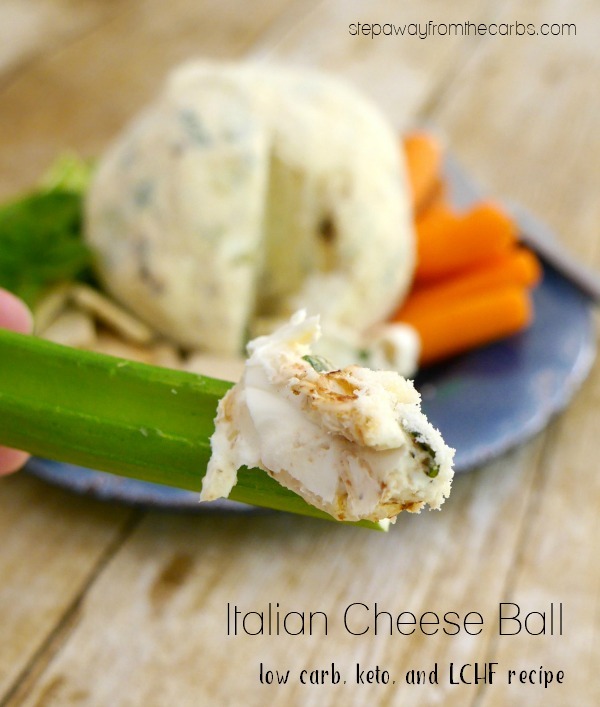 This Italian Cheese Ball is very low in carbs and perfect for serving at your next party! The cheese ball. An American party classic dish that has many family recipes passed on down the generations. 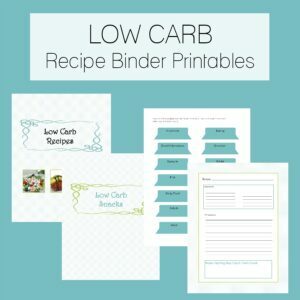 So many variations to make, and many of them are naturally low in carbs. 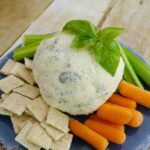 For a gathering at home recently I decided to make this cheese ball with an Italian twist. It’s loaded with fresh basil, sun dried tomatoes and Parmesan. 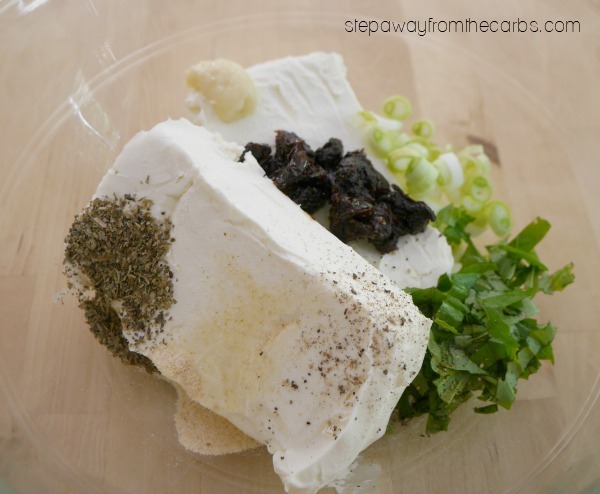 In a large bowl, add softened blocks of cream cheese, onion powder, Italian seasoning, finely chopped fresh basil, finely chopped green onions, chopped sun-dried tomatoes and salt and pepper. You could also add garlic paste if you like but remember that it isn’t going to be cooked – so may not suit all your guests. Mix everything together and use your hands to form it into a ball. 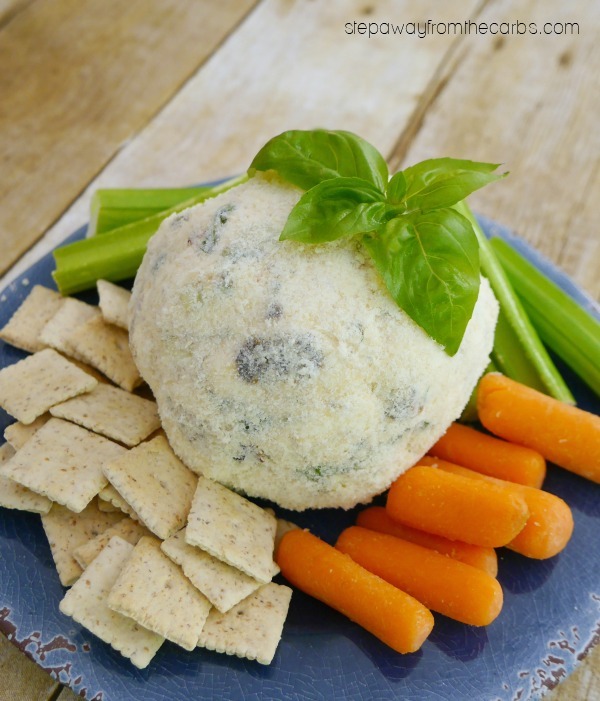 Add grated Parmesan to a plate and place the cheese ball into the Parmesan. Roll to coat it completely in the grated cheese. Cover with plastic wrap and store in the fridge, removing it at least 15 minutes before it is required. 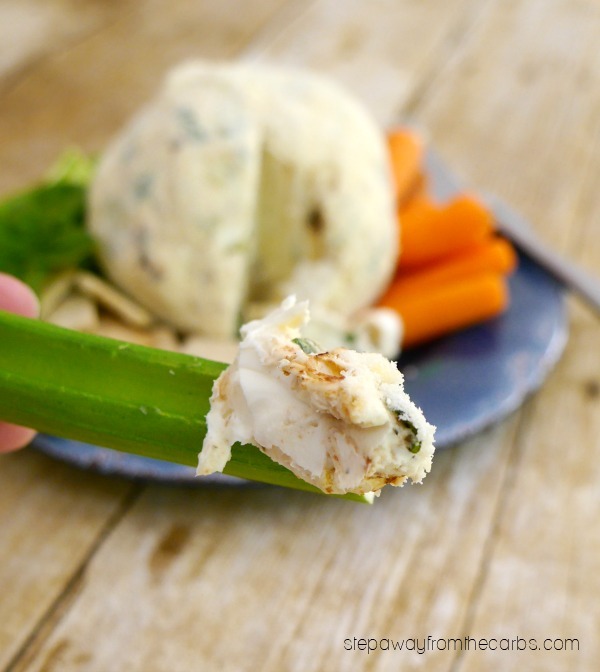 Serve with vegetables such as cherry tomatoes, baby carrots, celery, jicama sticks or low carb crackers like Thinables. You could also make some homemade tortilla chips! 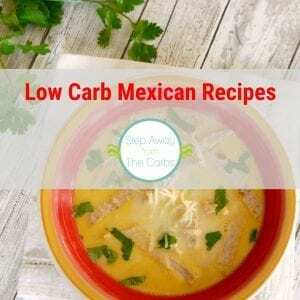 Mix everything together in a large bowl apart from the Parmesan. Form the mixture into a large ball. 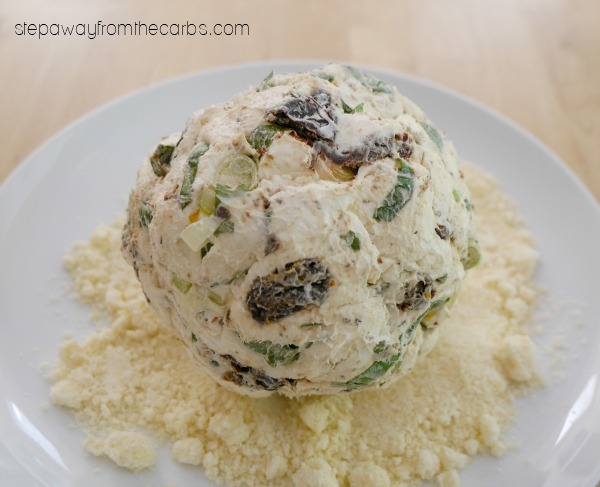 Place the Parmesan in a bowl and roll the cheese ball around in the Parmesan to coat it completely. Store in the fridge (covered in plastic wrap) until required, removing 15 minutes before serving.